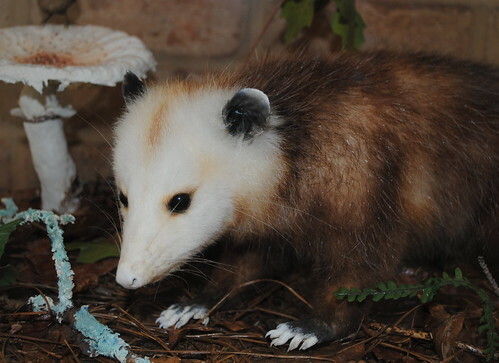 The Opossum, or "Possum" as I will be referring to it, is the official animal of the South. 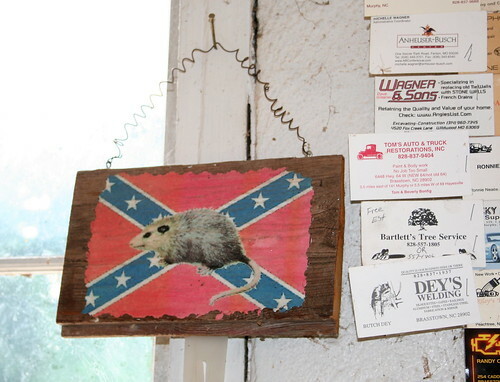 I am not entirely sure who decided this, or why it is, but the Possum is a Southern as Sweet Tea and Grits. 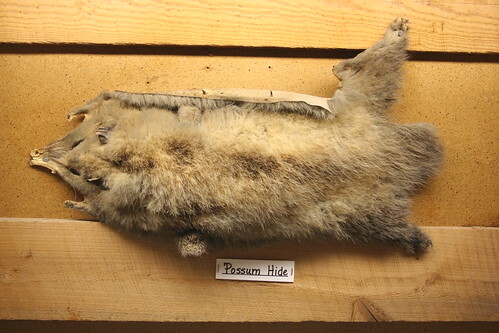 Possum's are known as the animal that essentially curls up and dies whenever they are threatened. This does not seem like a good representation of what the South is and what it stands for. 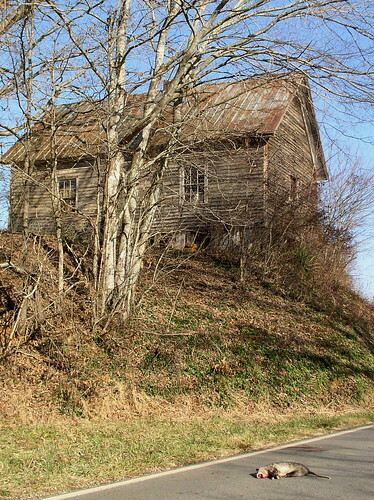 South is known to be a bit more defensive when under attack. 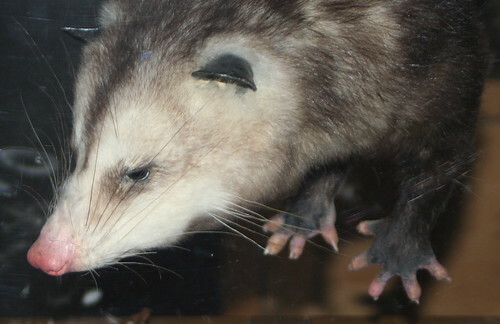 The Possum looks ugly, smells bad and is so slow that its name has become synonymous with Roadkill. It seems that the South would be better off going with a mascot that was a little less pitiful, like the Alligator, or Pit Bull. Even squirrels seem pretty tough compared to Possums. 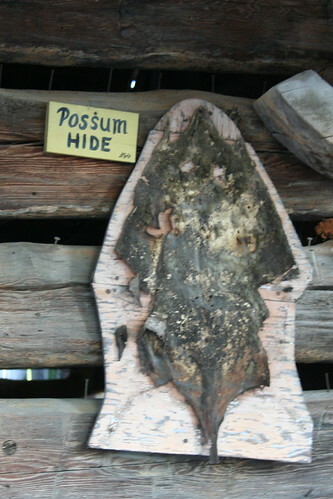 There is more to the Possum then feinting and roadkill. 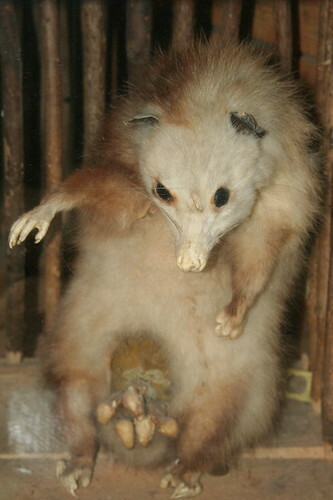 The Possum is truly a unique creature in this world. In a way the Possum is one of nature's biggest contradictions. You, see Possum's are classified as primitive form of mammal. 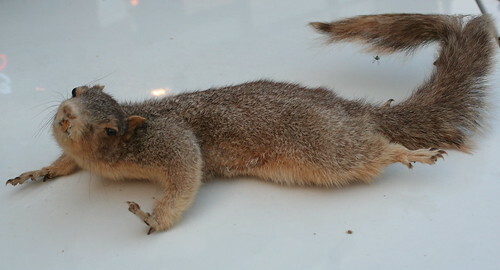 Scientist believes that some of the earliest mammals where very close to the Possum's today. How did Possum's cheat evolution? How did they manage to survive in groves when much more evolved animals have show up to fight for resources. It turns out that Mr. Possum has a shocking Ace-in-the-hole. Possum's have thrived for the same reason that man has. A little thing called opposable thumbs. Possums are the ONLY animal besides man to have opposable thumbs. Not even our evolutionary buddy the Chimpanzee has these wonderful tools. SO, let's think about this for a minute. 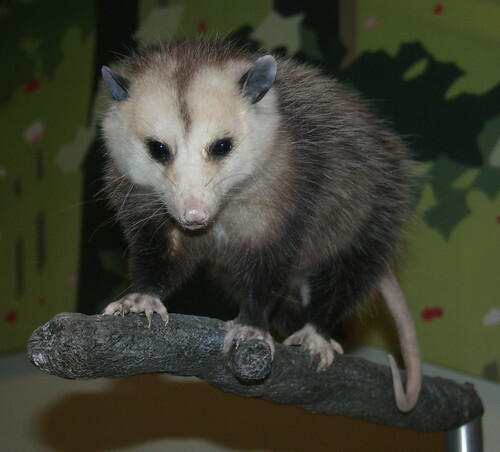 The Possum manages to be a living relic of early mammals, yet they possess what is largely considered the evolutionary apex. Now that is a living contradictions. Maybe this contradictions is what has endeared the Southern population to this animal. 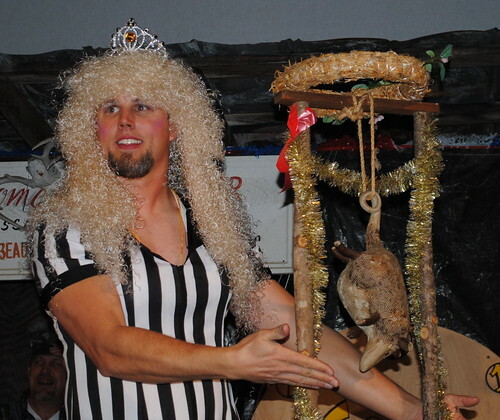 But that brings me back to my original Possum. 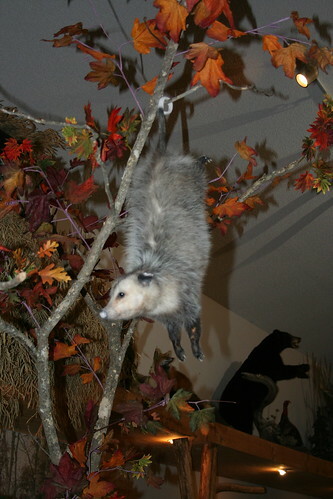 The possum lives all over North and South America, so what is it that instills it with such Southiness. 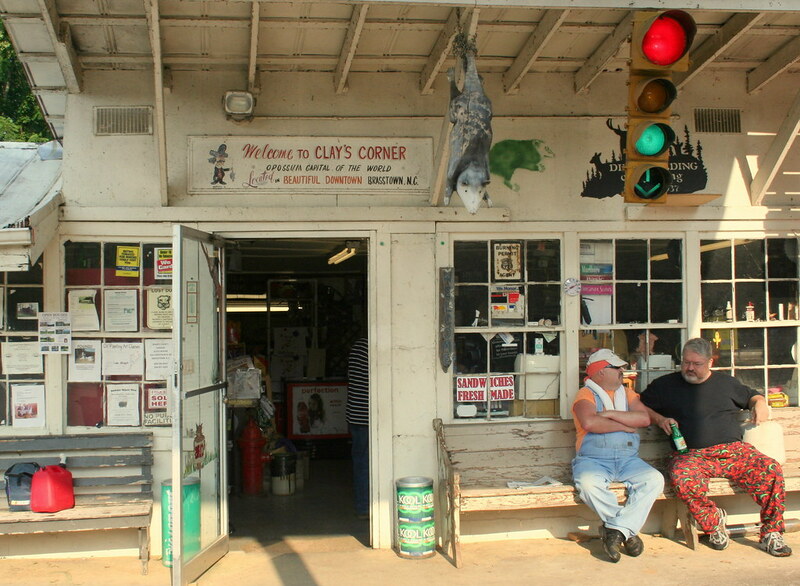 To seek out my answer I will refer to Brasstown, NC, which has proudly dubbed itself "Possum Capital of the World"
The Heart and Soul of Brasstown is a little gas station/VHS rental facility known as "Clay's Corner"
Clay's corner is a celebration of all things Possum related, however the biggest night of the year is New Year's Eve. 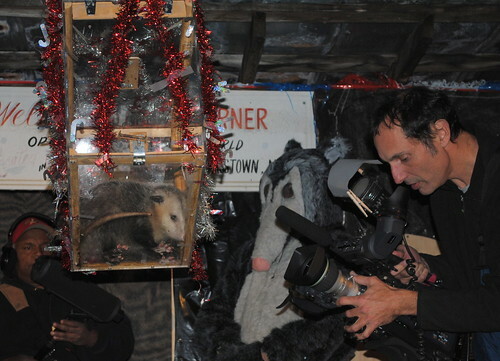 A few years back I attended the infamous "Possum Drop". 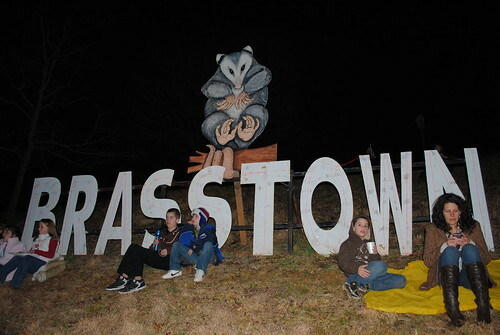 The folks in Brasstown did not want to be up staged by prissy New Yorkers and started their own tradition. 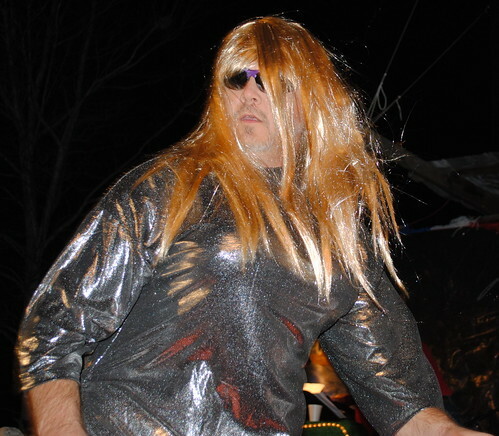 On New Years Even they decided that if they could drop a ball in New York, then they would drop, what else, a Possum. 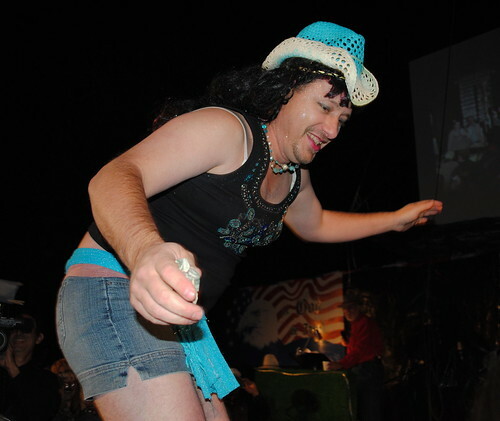 The festivities were a sight to behold as they started things off with a Redneck drag show to crown the "Possum Queen"
And yes, "Redneck Drag Show" is indeed a confusing spectacle to witness. After a fake rodeo and a tribute to the troops the moment arrived and the little fellow was lowered to the ground at the stroke of midnight signalling the new year. They capped things off with a firework display set to "Dixie" blaring over the loud speakers. 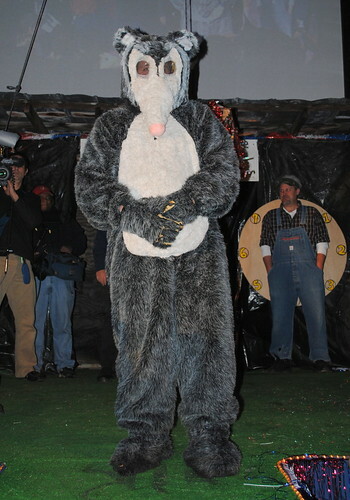 Of course the night would not be complete without an appearance from "Opie the Drug Free Possum"
I guess I can't really explain why the Possum is so popular with the Southern people. 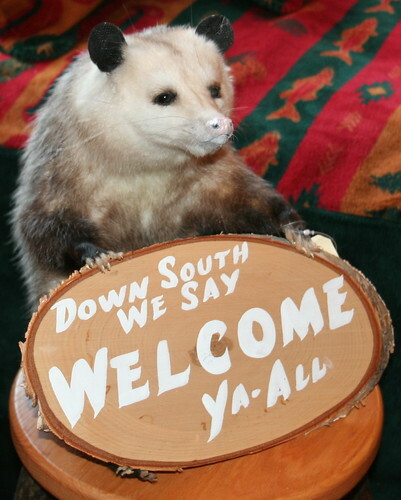 But I think this event more then solidifies the Possum as part of Southern Americana. To close I though I would share of the wonderful stuffed Possums I have photographed over the years. Its physically impossible for them to hang that way in real life, but hey it looks cool. He's got a point, we do say that. 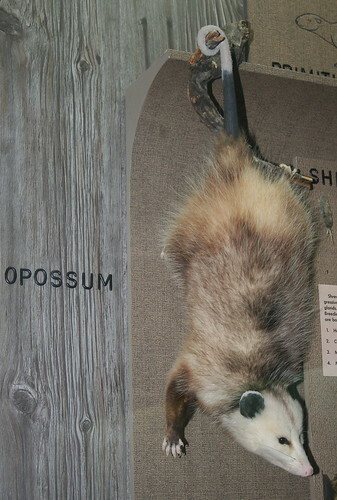 This is the Possum they have at the Smithsonian Museum of National History. I have dubbed him the World's most pretentious Possum. Okay, this is where things get a little ugly. It doesn't get much worse then that. Okay, I guess it does. 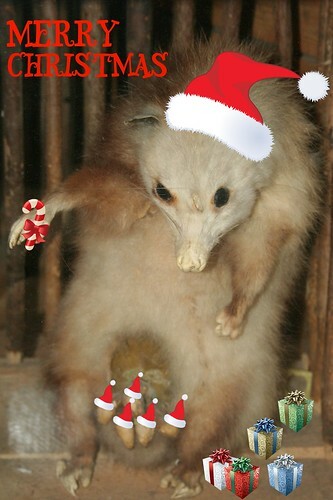 Then there is this mother possum. This mount wouldn't be too bad if they hadn't decided to leave her horrifying skeletal babies in her pouch. I admit I did actually use this as a Christmas Card one year.